Truthfully there isn't much to this blog post. In reality it's only because I thought up a pretty ingenious word play of a title, and I guess the story is some what funny, that I'm going to write it. Actually the price is kinda cool as well...ok enough of the lead ins. About 5 weeks ago I was skimming through the newly listed test presses on ebay and I saw a Rhythm Collision - Now for a buy it now of $9.99. I have this album in standard black, it might have been pressed on red too though...not really sure about that, but either way, I had a copy already, it's a real good album, and the test would look nice next to the standard. So I thought for 10 bucks this was a total no brainer as far as buy it nows go. Usually I never do buy it nows. NEVER. I can only remember a handful I've ever went through with, and they were total steals. The best being my $200 purchase of a Green Day 39/smooth test press on Lookout! 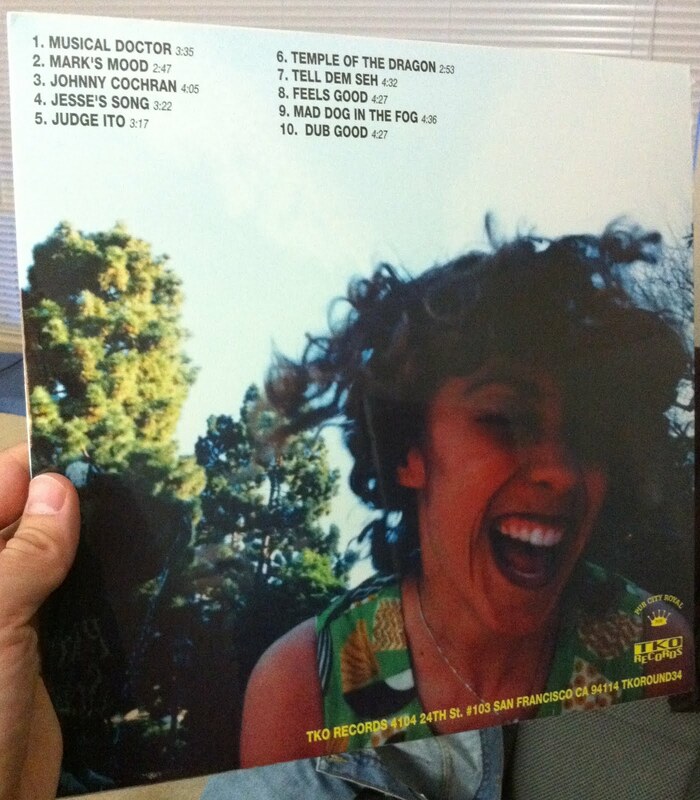 with the promo sheet, that I later donated to the haiti charity auctions on LP. Let's just say, it turned out well for haiti. But for 10 bucks, you really can't go wrong here. So I grabbed it. What transpired next is a fairly funny story that I will now share with you. 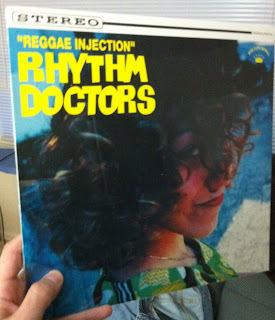 ahhhh yes, the highly allusive Rhythm Doctors - Reggae Injection album... These people look a lot happier than I was at the moment. 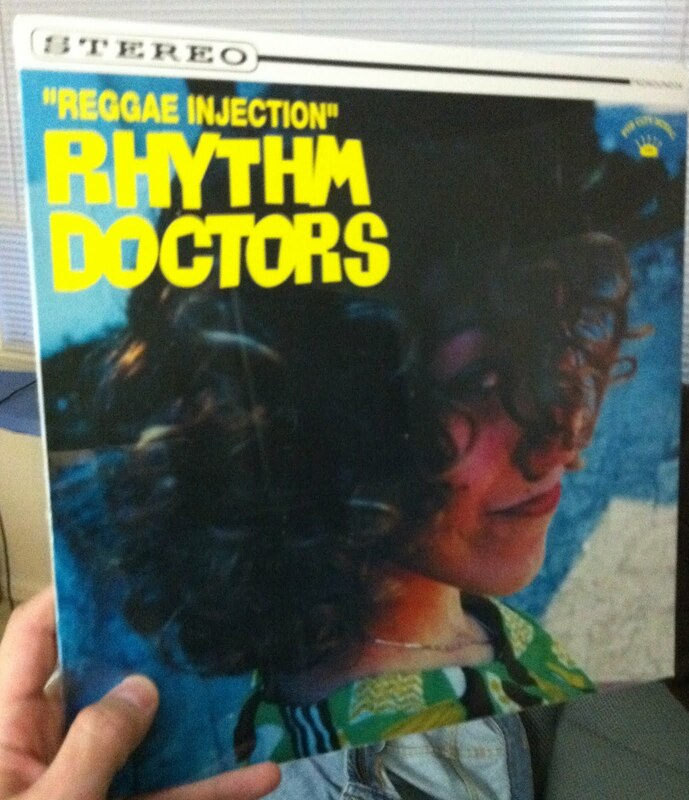 The front cover girl isn't even laughing at me, she's just like, "ppfff rhythm doctors. Sucker." So I messaged the guy and he apologized and said he'd send it out. So I waited about a week and I messaged him to make sure everything was cool. He proceeded to tell me the record arrived 3 weeks ago. I told him once again it was some reggae pile. He apologized AGAIN and said he's send it out. Then like a week after that this arrived! NICE! On to the shelf it goes. In the end it was still a sweet deal. 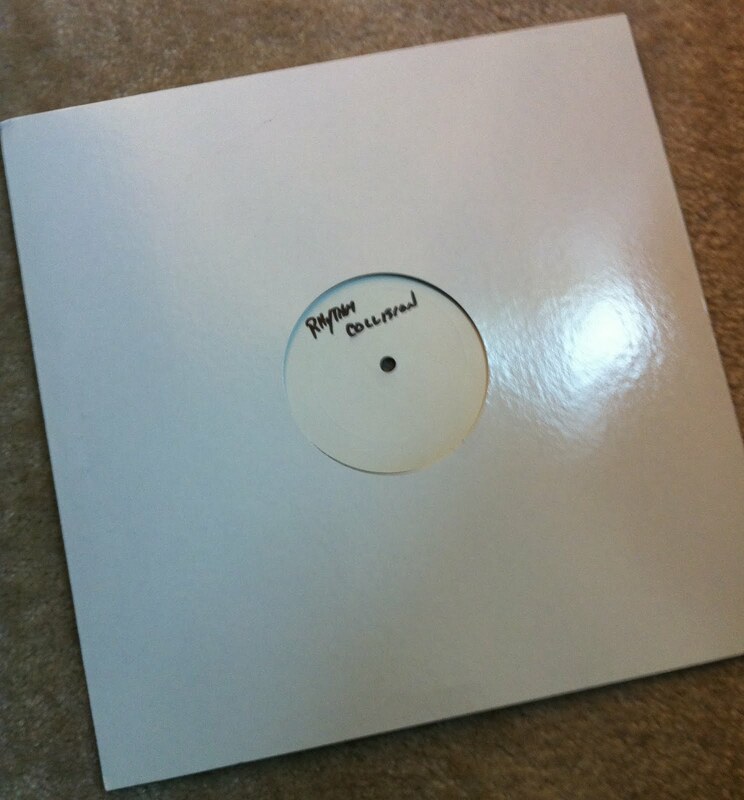 10 bucks for a Rhythm Collision test press, and a sleeve that'll I use to house one of my stranded test presses. Thanks TKO Records!